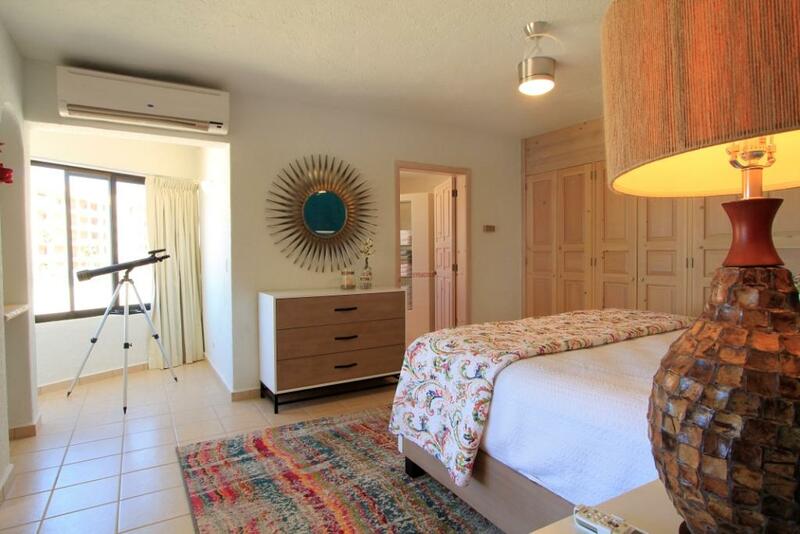 Spectacular Remodeled-Refurnished [in both 2015 & 2018] 2500 sq. ft. 3BR. 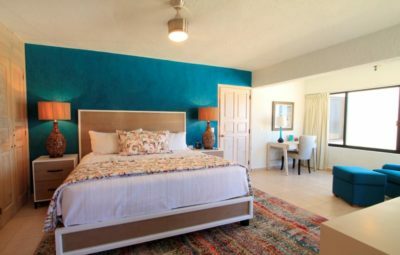 Is tastefully furnished with fine authentic Mexican craft and modern artwork, comfortable and tasteful furniture, tables, rugs etc. WI-FI: We have added WIFI to unit 235 – giving you High-Speed, password-protected Secure Internet Access in the condo and on Decks. My family of 7 just returned from Terrasol Beach Resort yesterday. We loved every moment of our stay. 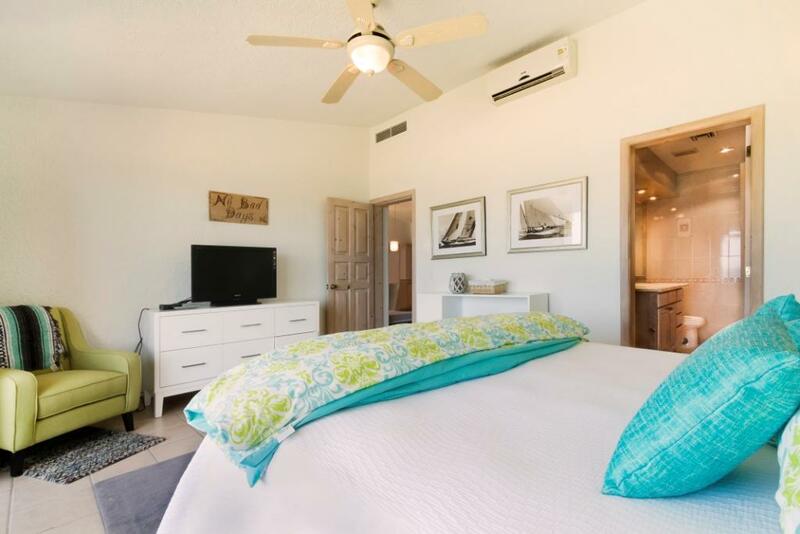 We rented the unit directly from Craig Harrison in January and the process was seamless and affordable for that many people in comparison to a choosing a hotel/resort. 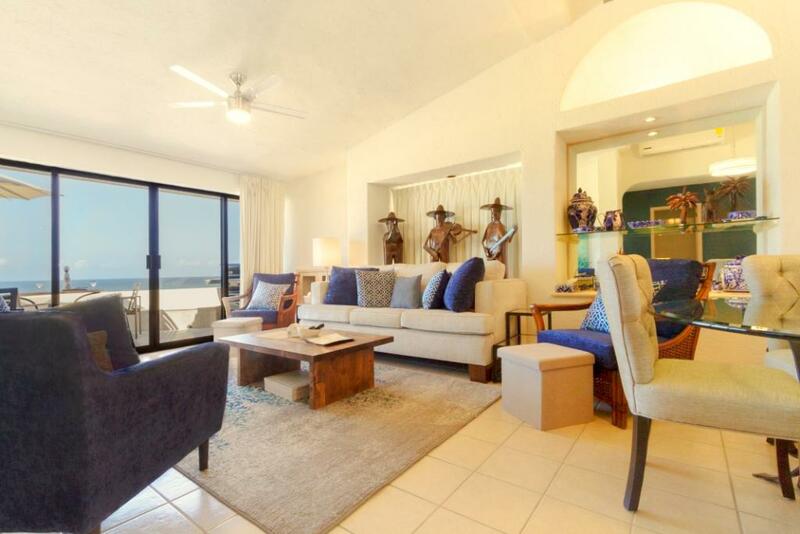 We had an entire 2300 sf condo with full amenities oceanfront. Craig splits payments if booked over 30 days. He goes into great details ensuring you fully understand terms. There were no worries about expectations of the rental agreement. From booking to arranging for ground transport and grocery delivery services with Michele, all details were taken care of months prior to our arrival. Everyone including Craig was very professional. 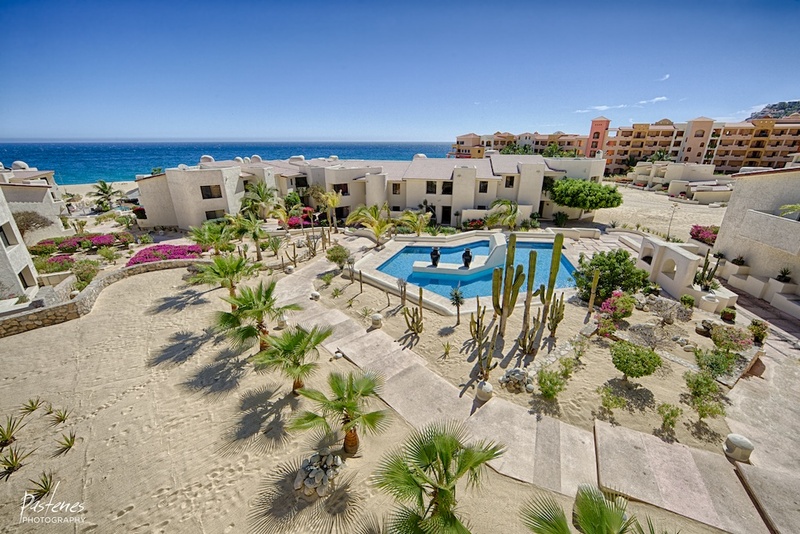 The location itself is perfect and away from the vendors you find at Medano Beach and is very secluded. We loved feeling as if we had our own private beach and loved drinking coffee from the deck overlooking the pool and ocean and could see the boats come and go into the bay and enjoyed watching the manta rays jumping. I cannot stress to you how wonderful it is to feel at home and safe in a foreign country. The two pools were clean; one of which had a swim up bar and Mario ($4 drinks). One day we went deep sea fishing and caught bonita and mahi mahi that we had filleted and brought back to the swim up bar / grill at pool where the chef cooked them up for us for a mere price of $6 per person. It was the best meal we had while in Cabo. 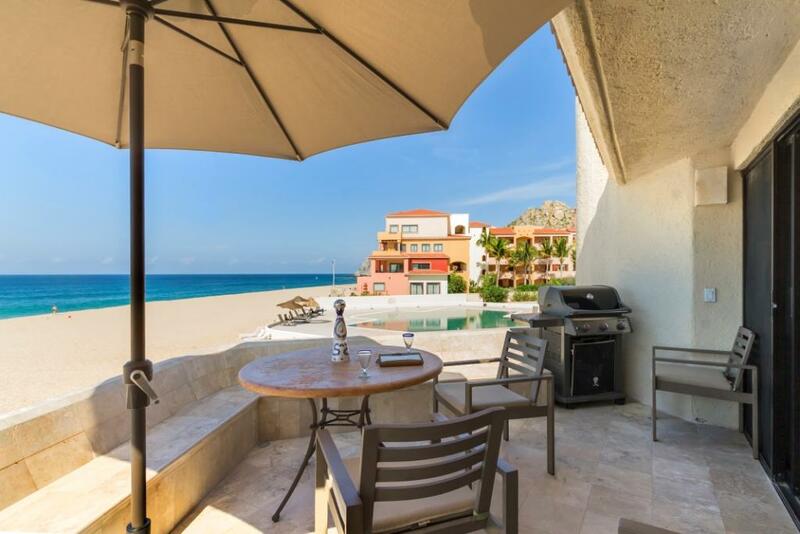 YOU will LOVE the seclusion and proximity to the marina and the city of Cabo San Lucas (walking distance) and enjoy walks on the beach. The condo itself could sleep 10 people with the sofa bed which we used. We had 7 family members and everyone had privacy and the felt at home. The beds and sofa bed was comfy and the rooms spacious. 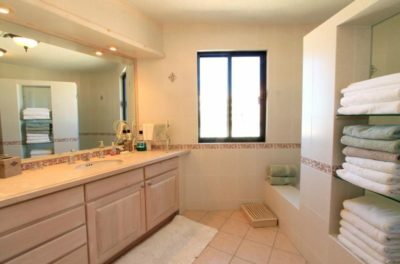 There were plenty of towels, well stocked kitchen, cool AC systems, washer/dryer and Wi-Fi with modern appliances and television. We cooked all meals to save money for our large extended family and utilized the grill nightly. We also hired a local photographer to take family photos right there on the beach at lands end. The photos and location are perfect! This is a well kept secret location and we will be back. We’ve traveled to Cancun many times but now prefer Cabo. 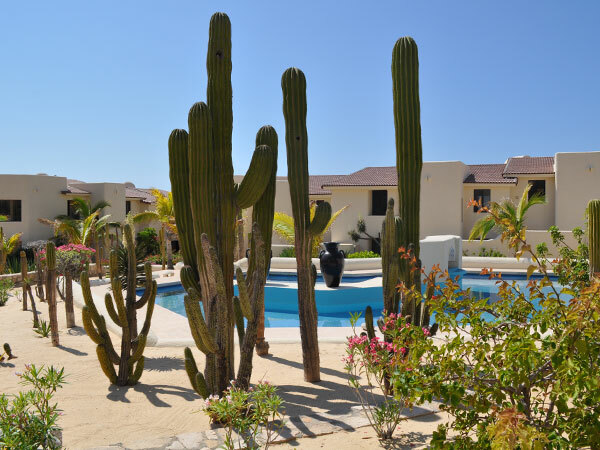 Terrasol’s property was a gorgeous desert landscape and well kept. Craig owns many units there and keeps up with his units nicely. You should give Terrasol a try and rent directly from Craig. I promise you won’t regret your decision. If you are seeking party place, this place is not for you. If you seek a quiet, secure and beautifully decorated home for a few days, call Craig. Condo- 235 3 br Penthouse. Very spacious. 2 balconies- 1 off the living area and 1 off the guest room. I do wish the Master had a balcony, but since both have BRs, you can use the guest room as a master if you choose. All the things you need, grill, fridge, oven, micro, 3 baths w 3 showers, etc. And nicely decorated. Location- Perfect view of ocean waves and sunset. Easy access to both pools. Good visual to 1 pool. Kids can run down to play while you watch them from the balcony or Master windows. Beautiful long/wide beach. Easy (5 min)walk down hill to downtown shops and restaurants. Pool- Pools are great for adults and kids. Pool bar is very handy. Food selection is limited but good. I prefer to run by store for chips, avacado, steaks, drinks etc on the way from airport. 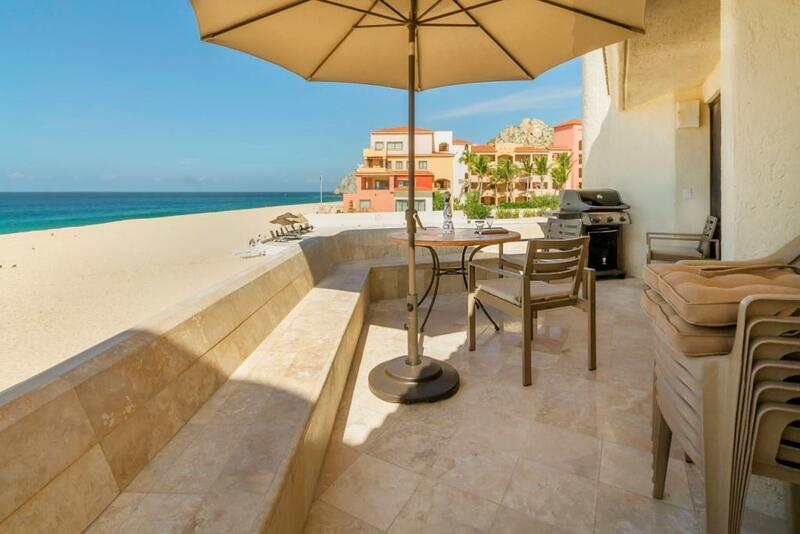 Beach- Although a beautiful beach, you can not get in ocean in front of condo. Undertow is much too strong for both adults and kids. Security monitors the beach to be sure you do not get in and they track visitors on the beach. (This was a surprise to me) A smaller, more secluded beach (next to el Arco)just down the hill around the corner. (5 min walk) Or walk down the hill to a quick water taxi to the main beach- Very busy but fun (next to The Office). Taxi is 5/person. 1USD to get on the dock, 4 USD to ride. The ride is only 5 mins but kind of fun. See below. Wildlife- We randomly found baby sea turtles (40+) hatching on the beach right outside our condo. Feel so lucky to have seen this once in a lifetime event in the wild. I do wish the condo and hotels would turn out the lights at night so the turtles can find there way to the ocean. (But we did help them: ) You will see seals in the bay if you take a water taxi to the beach so its was worth 5 bucks for the kids to see this and much quicker than walking. We did not see any whales but hear its common. Payment- Booking direct with Craig initially made me nervous, but it turned out to be the best solution. He was not only honest, but also entertaining and helpful. My favorite is Esperanza, but Terrasol was well worth the price. 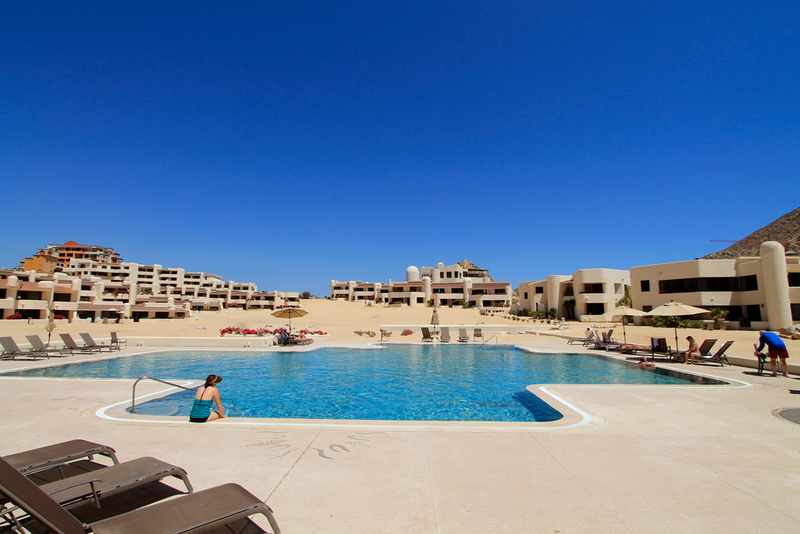 Weather- It is almost always sunny in Cabo, but these days were partly cloudy and very windy. The wind did keep the bugs away. I would return. Loved Terrasol #235 for so many reasons! We (my husband, mother-in-law, 2-year-old-son, and me) stayed there five nights in mid-November. First: the location. 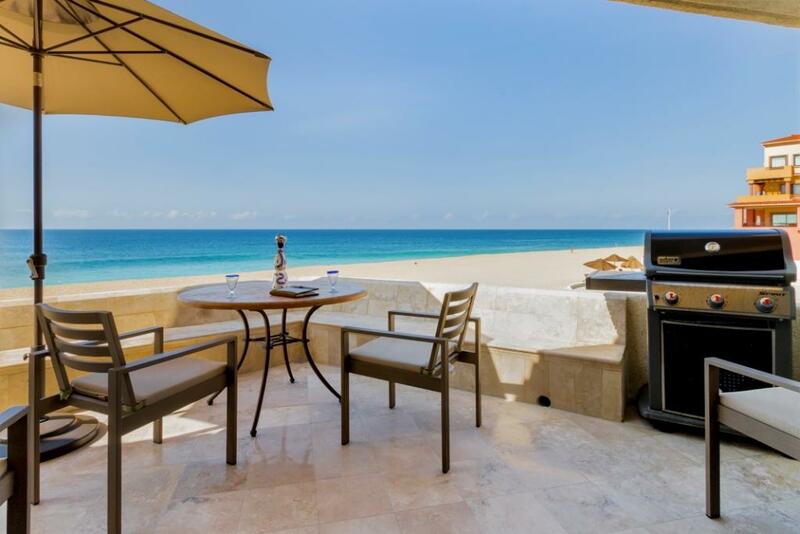 This unit is right on the beach. 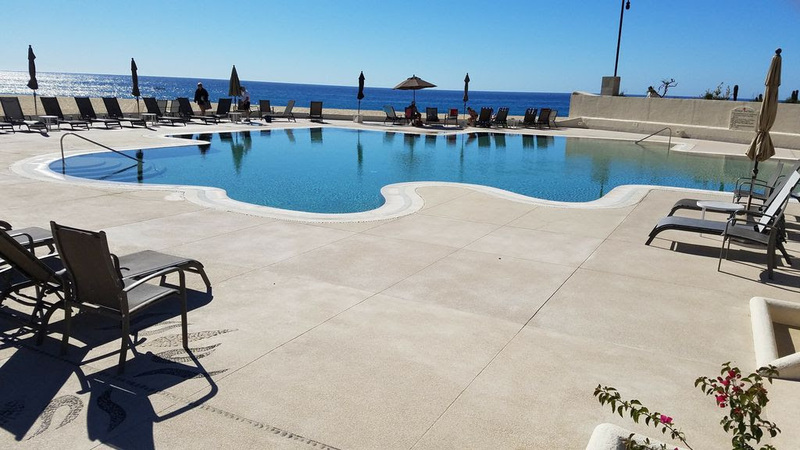 While you can’t swim in the Pacific Ocean, sitting on the large lanai while watching the dramatic surf crash against the long beach flanked by dramatic headlands is so mesmerizing you might not even make it into town. 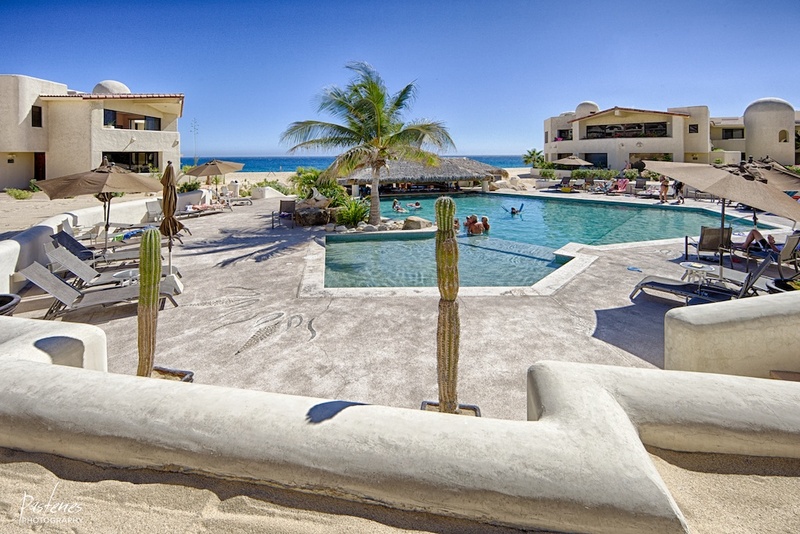 If you can break away from the view and comfortable condo amenities, however, it’s about a 10 minute walk to the main “hub” of downtown Cabo San Lucas (restaurants, bar, shops), and likewise just under 10 minutes on foot to La Empacadora, a wonderful swimming/snorkeling beach on the Sea of Cortez. 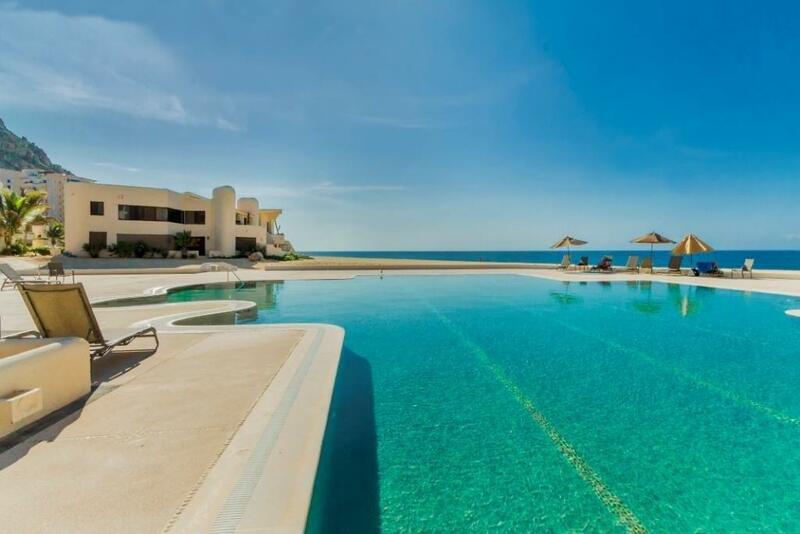 Second: the Terrasol grounds are gorgeous, low-key, feature two pools (one of which has a swim-up bar!) and easy to navigate. We had reservations that Terrasol might be full of partiers — this was our first trip to Mexico, and we worried that it was a year-round spring break scene. Were we ever wrong! Terrasol was quiet, and the people staying there seemed to primarily fall in the categories of parents with young children and older couples. Everyone was quite lovely, and there was no raucous partying (at least not within earshot). To our regret, we did not partake of the swim-up bar or restaurant. However, the prices were surprisingly reasonable (the most precious drinks got up to $5), and others’ meals looked tasty. The front desk staff we interacted with were friendly, gave useful tips, and spoke fluent English. 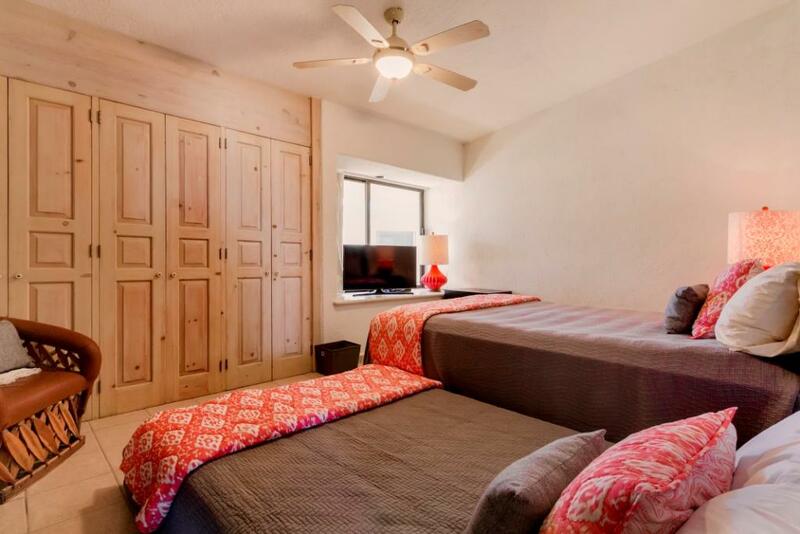 Third: I mentioned the comfortable condo, but wanted to expound on that. The unit was spotless when we arrived. All A/C units worked flawlessly (important on 87-degree day!) 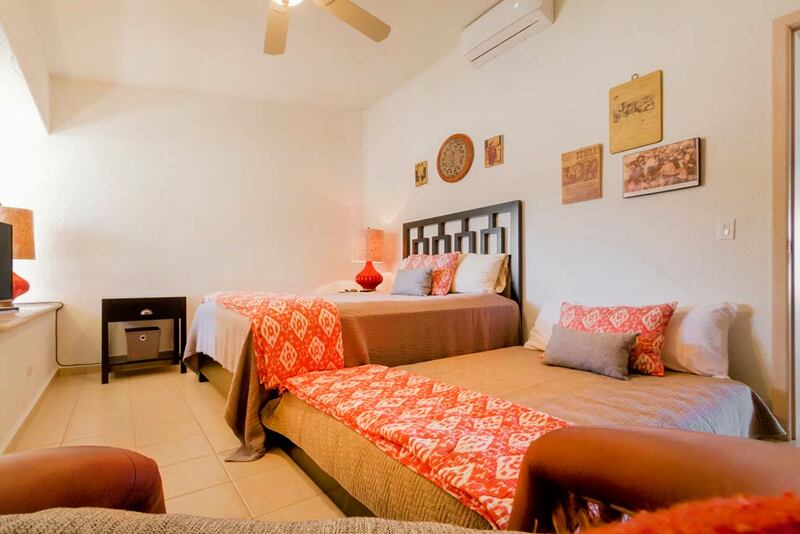 All three bedrooms are large, quiet, and nicely decorated. Two look out over the beach and Pacific Ocean. The kitchen is well-appointed (perfect for cooking the yellow-fin tuna and snapper we caught! 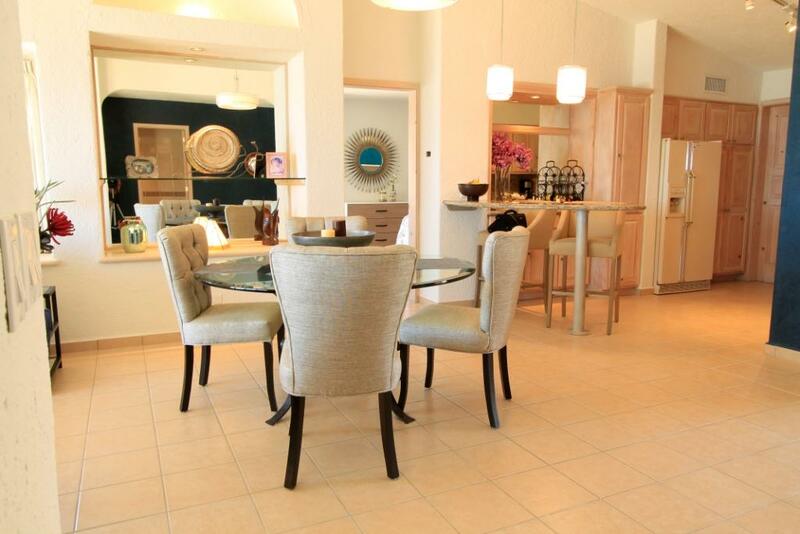 ), and the common areas are spacious. The in-unit washer/dryer was much appreciated (great for washing clothes after that fishing trip). Finally, Craig responded to my questions in a timely and helpful manner. 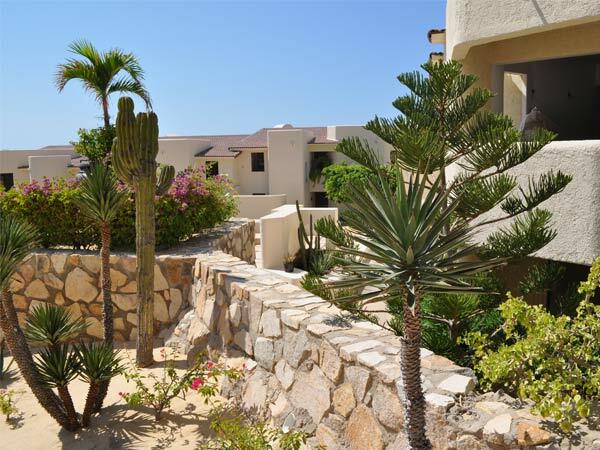 He provided a bounty of suggestions about Cabo activities, along with contact information for recommended agencies (e.g., snorkel tours, fishing outfitters, etc.). He’s a model host! 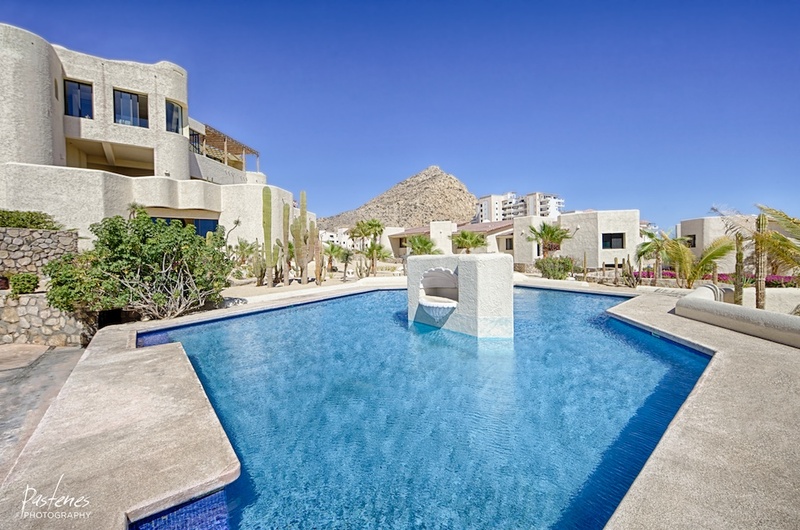 In short, we adored our stay and hope this unit is available the next time we visit Cabo San Lucas. 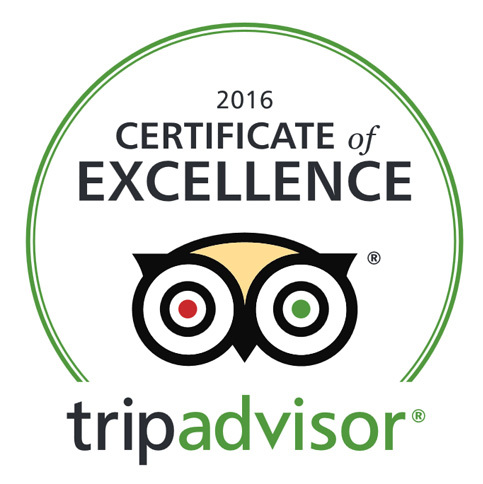 We encourage you to book now before someone else snatches up this gem. The space was absolutely perfect. We had a large balcony area overlooking the beach which is where we spent most of our time watching the fishing boats go out each morning and the whales in the distance. The living room was beautifully decorated and allowed us to feel at home with the coziness. The kitchen was huge and allowed us to cook meals throughout our trip. All the kitchen tools you need are available. The two pools on property made it hard to leave the resort. We visited the pool-side restaurant often and the food always arrived quickly. The drinks were also great and the staff there were amazing. 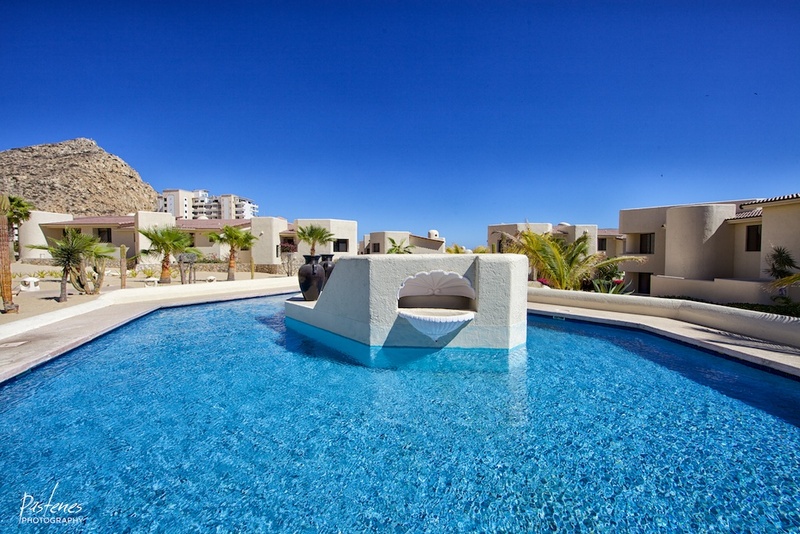 Second: the Terrasol grounds are gorgeous, low-key, feature two pools (one of which has a swim-up bar!) and easy to navigate. We had reservations that Terrasol might be full of partyers — this was our first trip to Mexico, and we worried that it was a year-round spring break scene. Were we ever wrong! Terrasol was quiet, and the people staying there seemed to primarily fall in the categories of parents with young children and older couples. Everyone was quite lovely, and there was no raucous partying (at least not within earshot). To our regret, we did not partake of the swim-up bar or restaurant. However, the prices were surprisingly reasonable (the most precious drinks got up to $5), and others’ meals looked tasty. 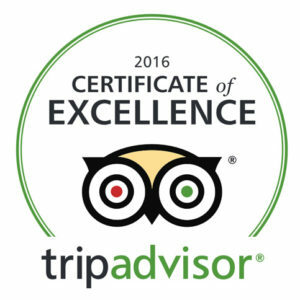 The front desk staff we interacted with were friendly, gave useful tips, and spoke fluent English. Third: I mentioned the comfortable condo, but wanted to expound on that. The unit was spotless when we arrived. All A/C units worked flawlessly (important on 87-degree day!) 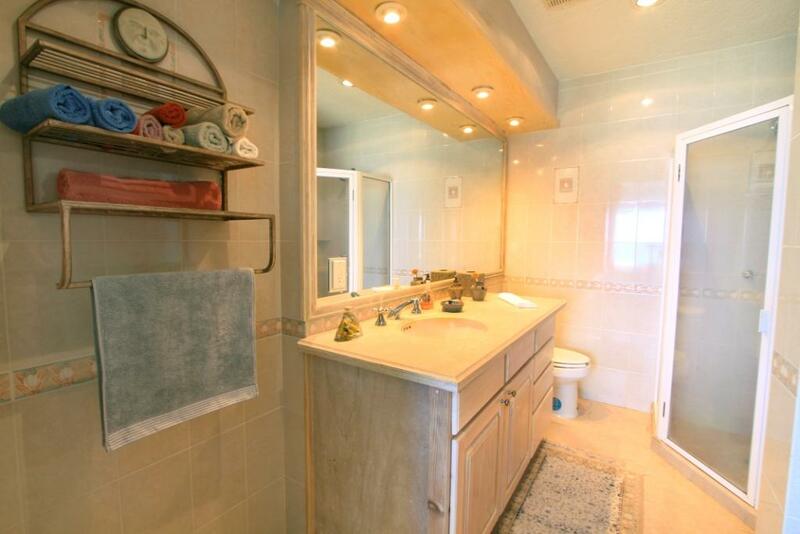 All three bedrooms are large, quiet, and nicely decorated. Two look out over the beach and Pacific Ocean. 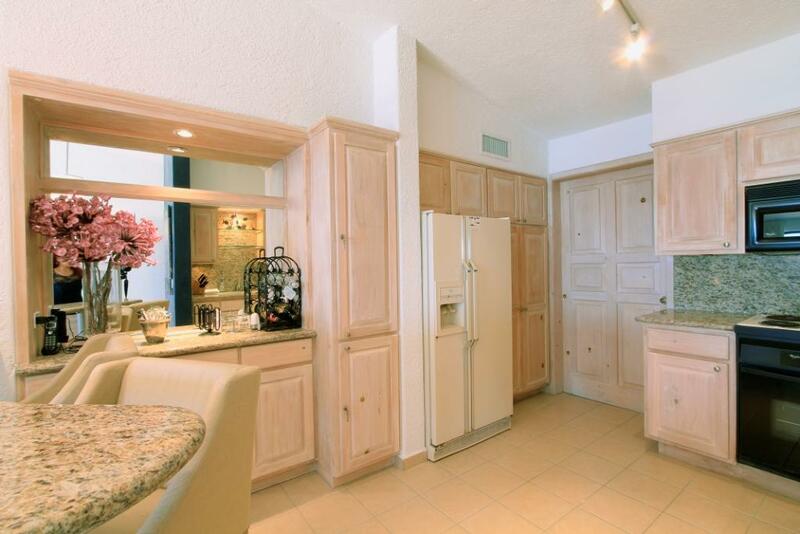 The kitchen is well-appointed (perfect for cooking the yellowfin tuna and snapper we caught! 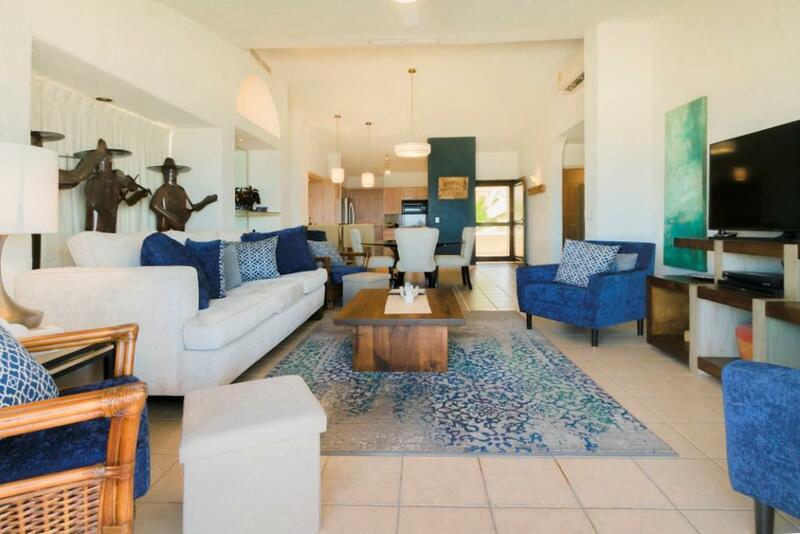 ), and the common areas are spacious. The in-unit washer/dryer was much appreciated (great for washing clothes after that fishing trip). 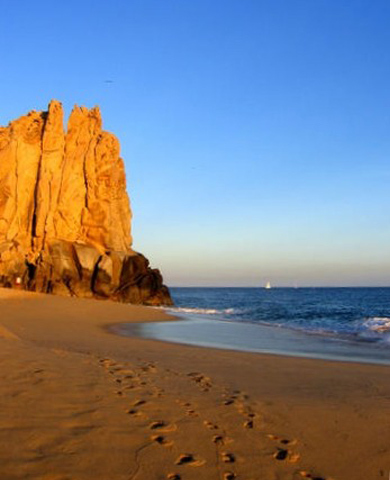 We could not have had a better experience in Cabo! Terrasol is a delightful place, and this unit was absolutely spectacular! 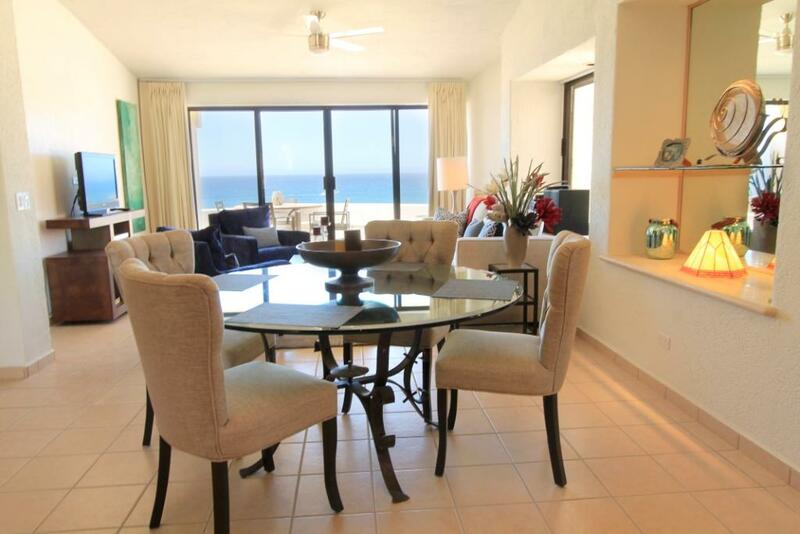 It is right on the beach, and includes all of the modern amenities. It is beautifully decorated as well. 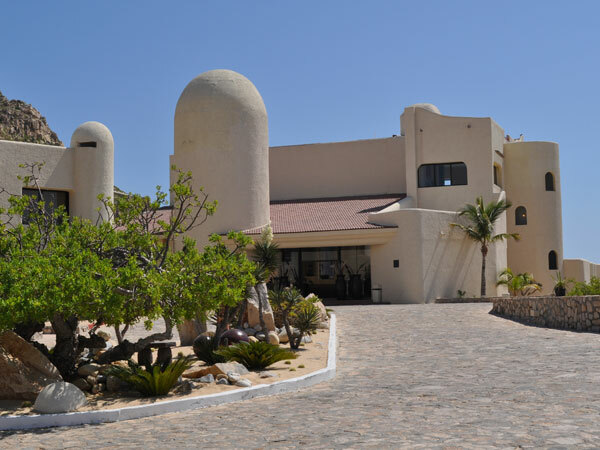 The restaurant on site boasts that it serves the “best fajitas in Cabo” and I can certainly confirm this. Not only were they delicious, but the price was very reasonable too! The front desk staff was helpful in coordinating excursions and helping us book massages with Norma who is an amazing massage therapist, but speaks almost no English. The owner was responsive, helpful and willing to work with us on a late checkout. I will definitely come back. You can not get a better Pacific Ocean view than #235. 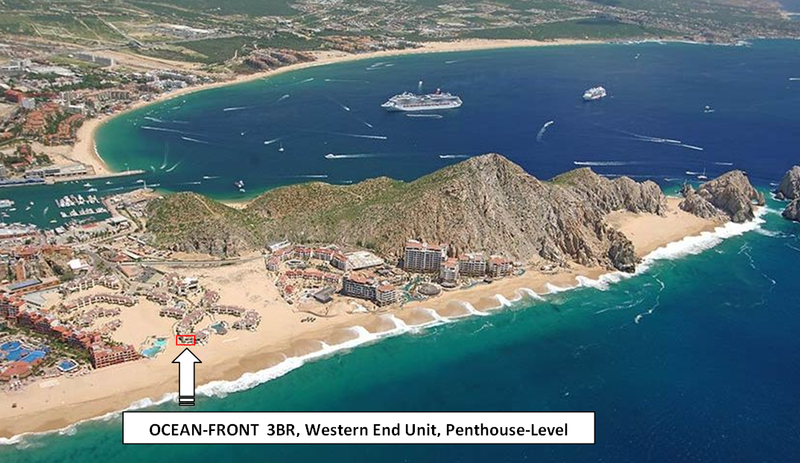 Full Oceanfront view and within walking distance to the Marina. I will never stay anywhere else. 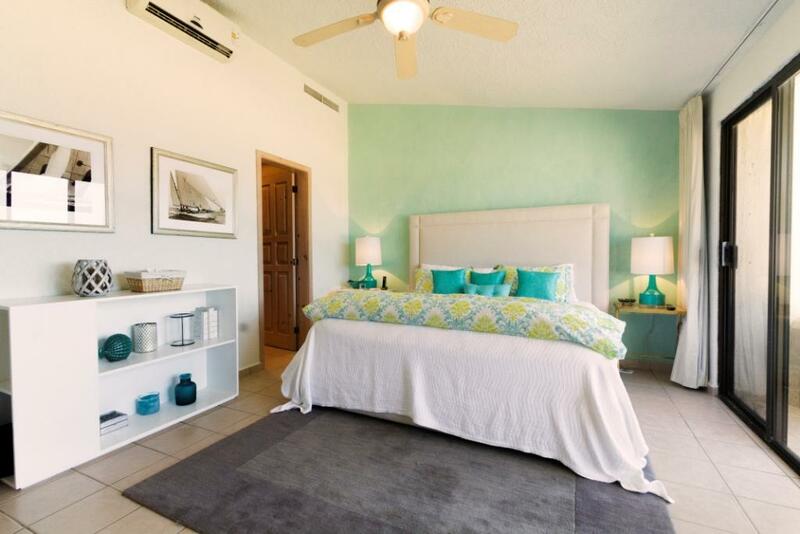 The Condo is decorated beautifully with everything you need to enjoy your Vacation. 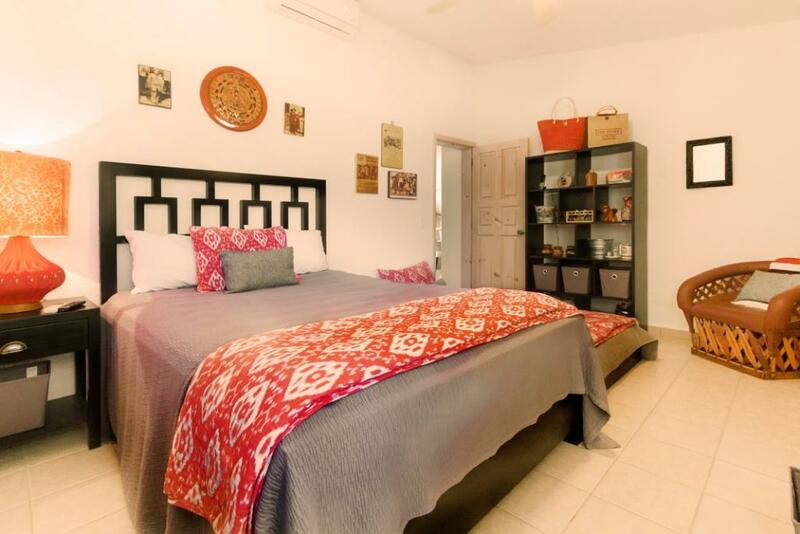 3 full bedrooms and bathrooms, full laundry room and gorgeous kitchen. Wifi connection was strong and TVS in every room. 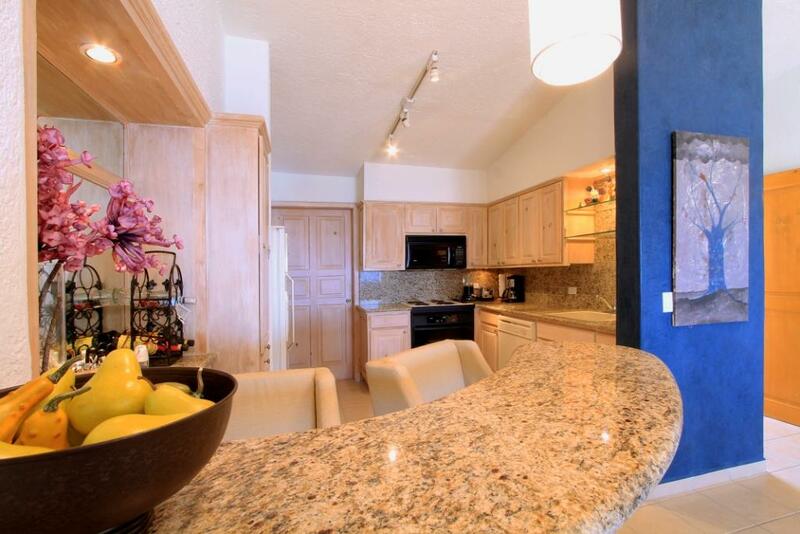 Kitchen fully stocked with a great wet bar area and new appliances. The patio area had table and chairs with a cool built in bench along railing. BBQ and umbrella make this area an extension of the Condo. We had a great time watching all the boats and fishermen throughout our stay. The pools are clean with lounge chairs and Mario in the Restaurant is awesome. The prices for food and beverages are very affordable with quality ingredients. I could go on and on! This is the place for you! We stayed in a 3 bedroom 3 bath condo #235. It was just redone and we were the first renters. 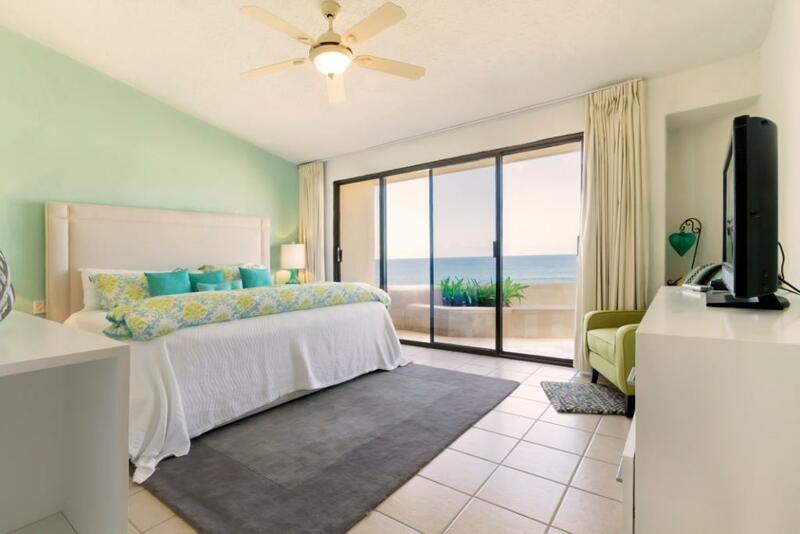 A/C worked great It was very nice and had all you could ask for, a ocean view not just a peek It also has a washer, dryer, full kitchen which was well stocked with everything you need to cook and dine in if so desired.. It has Direct TV as well as Wi-Fi, and dvd player.